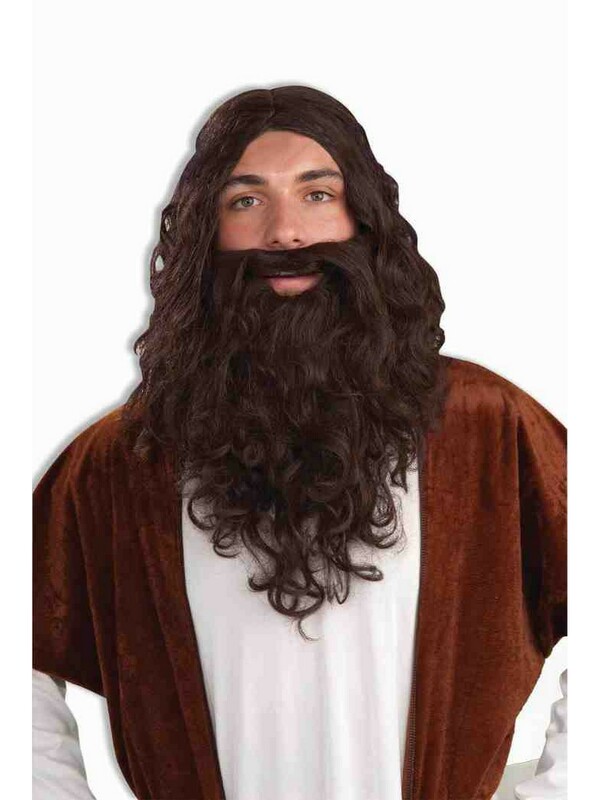 You'll look holier than the rest when you pair your shepherd look with this Biblical Wig and Beard for Adults. The curly brown hair reaches your shoulders. The mustache and beard are full and long to take your look to the next level.